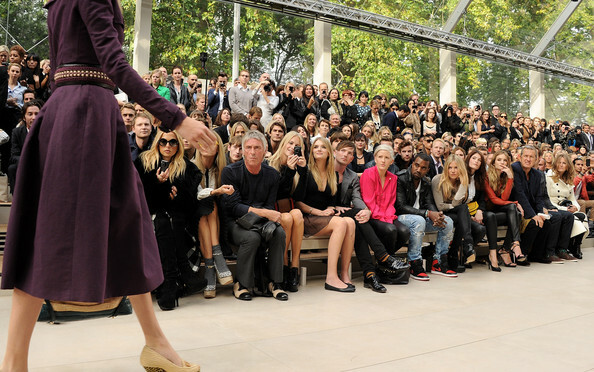 Paul Weller Inspects The New Burberry 2012 Womenswear Line! – Paul Weller News! Paul Weller Inspects The New Burberry 2012 Womenswear Line! 1 Comment on Paul Weller Inspects The New Burberry 2012 Womenswear Line! Here’s a few pics of Paul attending the Burberry Spring/Summer 2012 Womenswear line at Kensington Gardens in London on September 19, 2011.
Who are those ladies beside Paul? Previous Entry Official Classic "The Jam" T-Shirt To Be Released In Limited Quantities! Next Entry Paul Weller On The Cover Of Q! Special Collector’s Edition!